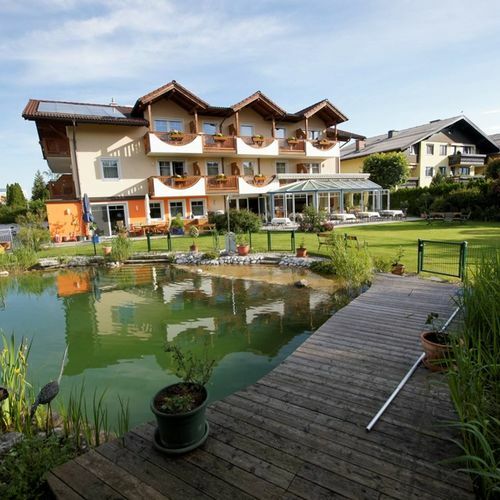 The 4-star Hotel Himmelreich is a family owned establishment in the green outskirts of Salzburg. The creative cultured atmosphere combined with hospitality will ensure a pleasant vacation, even for just a short visit. 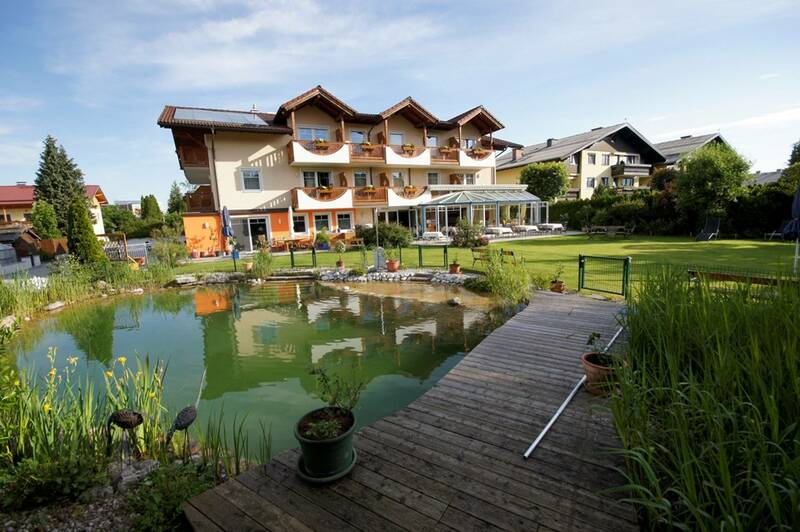 Hotel Himmelreich offers modern rooms, some have been renovated and newly furnished. All our rooms are non-smoking. “Cozy” Hotel Himmelreich offers suitable enticing rooms for young couples in love. Waterbeds and whirlpool tubs will provide a romantic and relaxing atmosphere. You will be pleased with our extensive possibilities for sightseeing and cultural events in the city of Mozart. For shoppers we have a "Design Outlet Center" with quality merchandise just a few steps away from the hotel. The closeness of the airport and highway does not in any way disturb the quite surroundings of the hotel. You do not hear any planes or highway sounds. In addition, the Salzburg Airport is closed for air traffic during the night. Quiet, yet convenient location within a few minutes of the convention , the exhibition center ( Salzburg Arena ) or the Brandbox in Bergheim. For your work-out after a successful day’s work, we will gladly provide directions to various jogging , Nordic walking and bike or mountain bike routes. Reserve your accommodation and Hotel Garni Himmelreich will directly send the confirmation in 1 workday. The rating of Hotel Garni Himmelreich is 10 from the maximum 10, 1 based on actual and valid guest ratings and reviews.